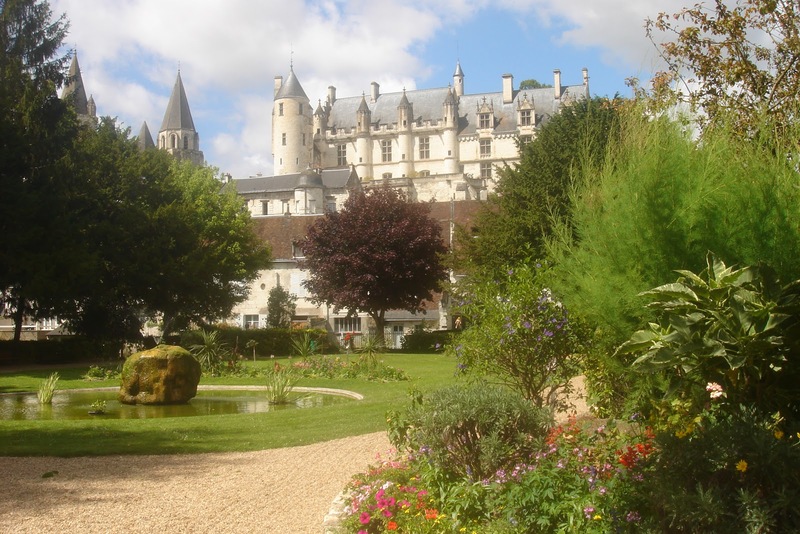 Continuing our tour of Loches in Southern Touraine the public gardens are worth a visit if you are visiting the town. 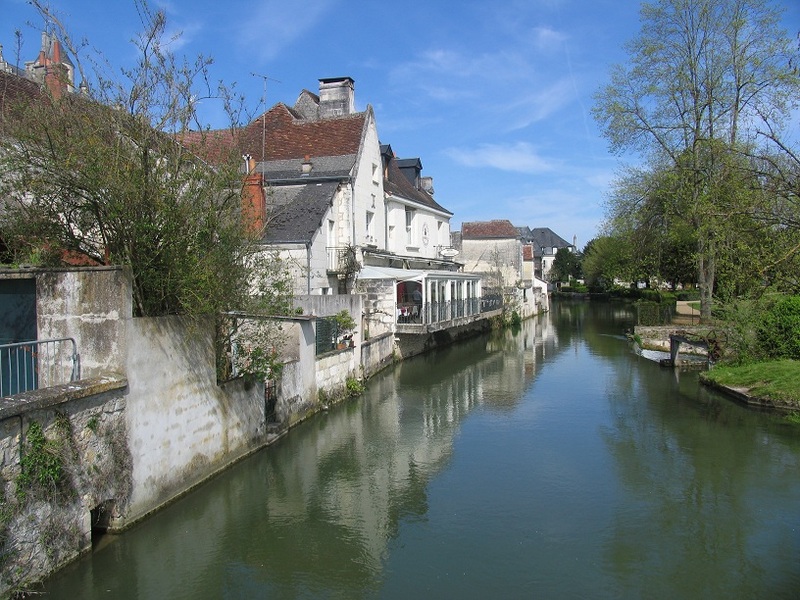 The local authorities in France take great pride in their public places and Loches is no exception. 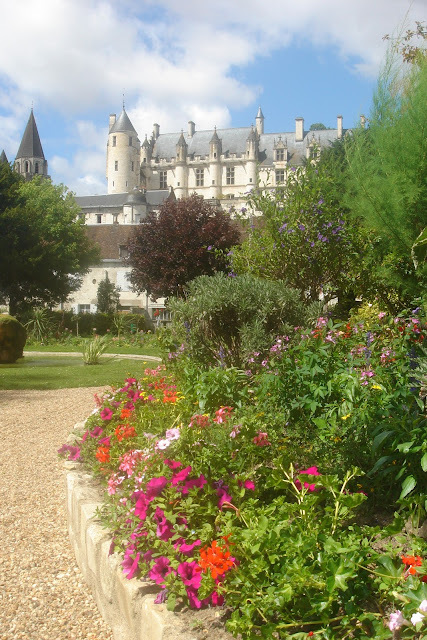 The planting and landscaping concentrates on local plants and flowers.You also get the added benefit of great views of its royal lodgings dungeon and church. 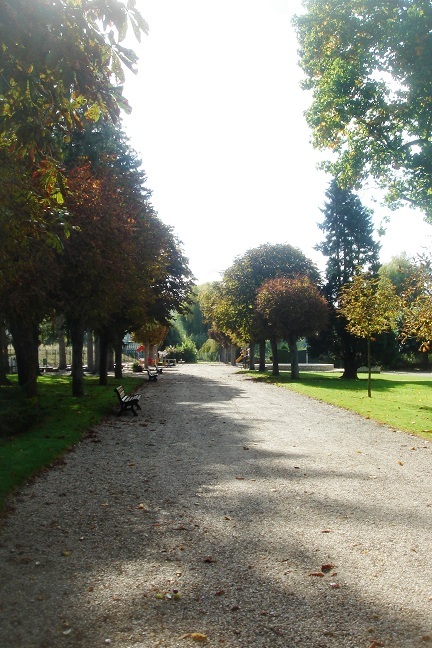 The gardens can be accessed by either leaving the centre of town via the Porte des Cordeliers and crossing the river Indre before turning right after a short walk or by parking at Place Quintefol at the other side of the gardens again by the river Indre. 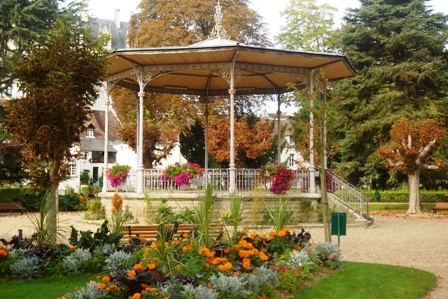 The gardens are a good mix of trees, shrubs and flowers with some additional attractive features such as the bandstand. It Is delightful any time of year. 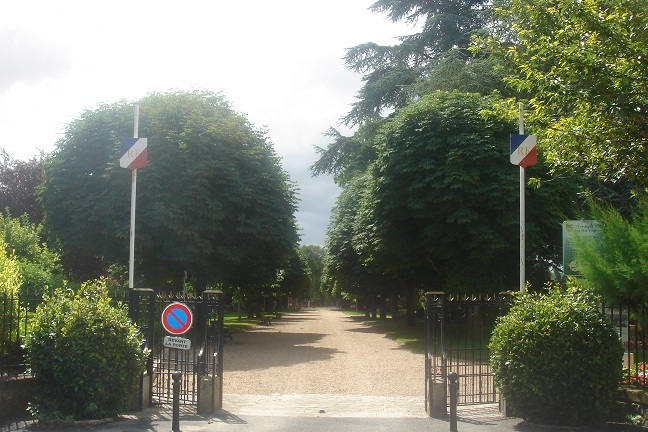 Looking back towards the gates. Looking up at the dungeons from the gardens. 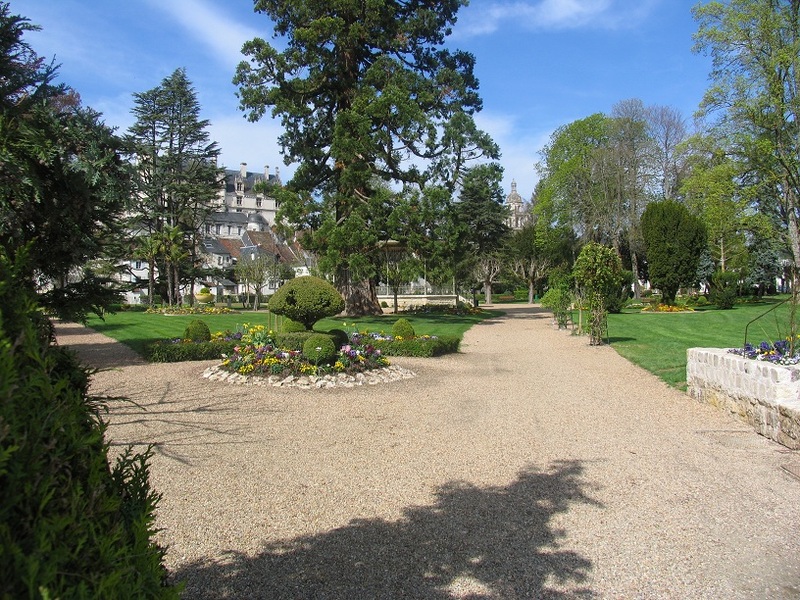 We would suggest you make time to visit these lovely gardens - if you take the kids they are also catered for with a small play park in the corner of the gardens. 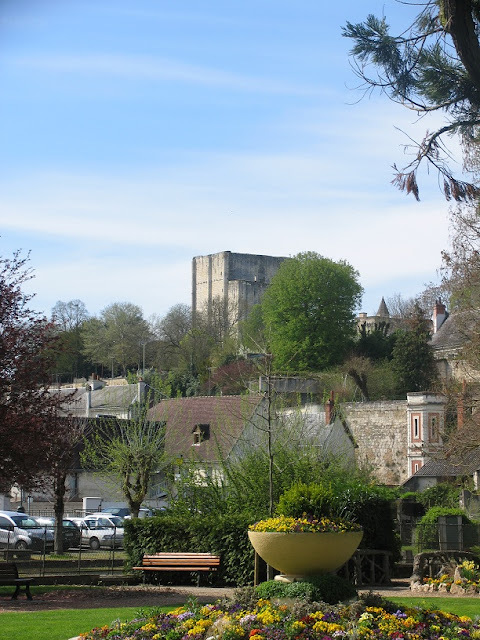 Continuing our week in Montresor...a spring walk around the Chateau in pictures. 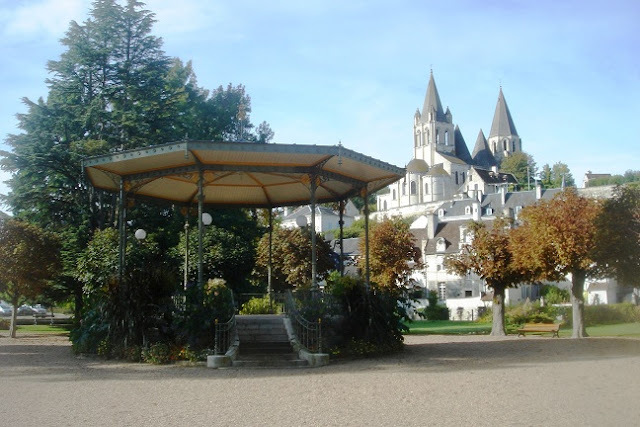 Staying with the beautiful village of Montresor for Monday's featured town. Montresor, beautiful at anytime but especially in ths spring. Loire Valley village houses to rent. 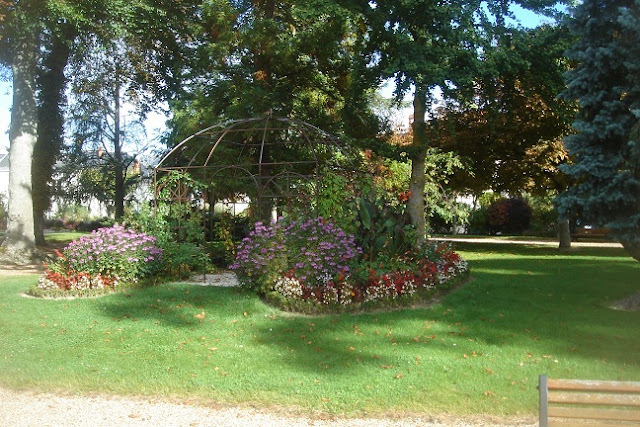 All material Copyright © 2005-2011 Experience Loire. Simple theme. Powered by Blogger.